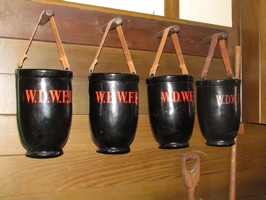 Old fashioned buckets for putting out fires hang from pegs on the wall (below, left). 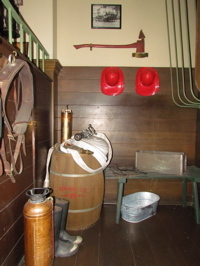 A fireman’s helmet hangs on the wall (below, right). 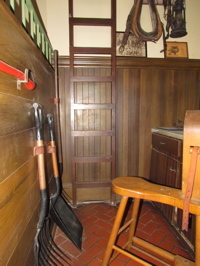 An ax sits on the wall above two fireman’s hats, and a pair of boots rests on the floor (below, left). 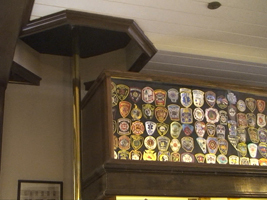 A ladder for the firefighters to climb is in the back (below, right). 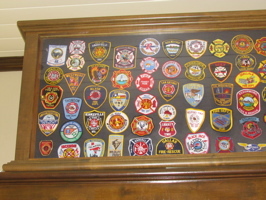 Disney has a couple of thousand patches, not all displayed at any given time. 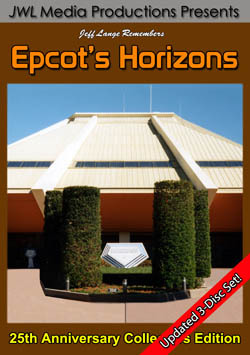 Some are at Epcot, and many were rotated here at the Main Street Fire Station (below, left). 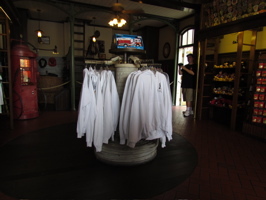 The shop sold firefighter Disney merchandise, as well as some standard Disney fare (below, right). 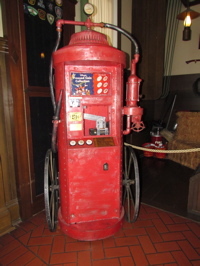 This is one of the most unique pressed penny machines we’ve ever seen (below, left). 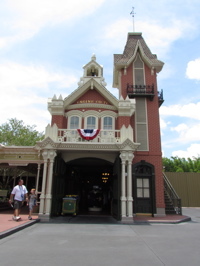 The Main Street Fire Station (below, right) was dressed for the Fourth of July (as much of Main Street USA was). 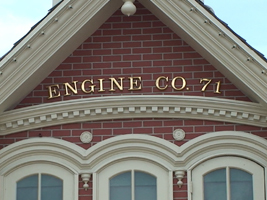 Video #1 – Main Street USA Fire Station Engine Co. 71 Magic Kingdom Walt Disney World – The Fire Station store was set to close on July 7th (we haven’t been back yet), and nothing has been announced to take it’s place. 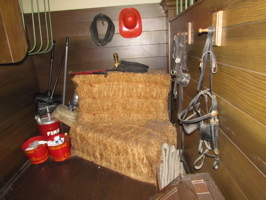 This is video of the store from last week. 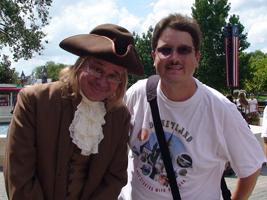 We had the chance to visit again with Ben Franklin at Epcot. 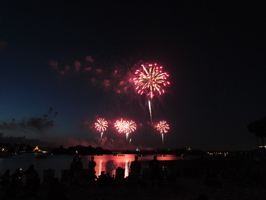 This has been a Independence day tradition for us for the last 3 years and he didn’t disappoint (below, left). 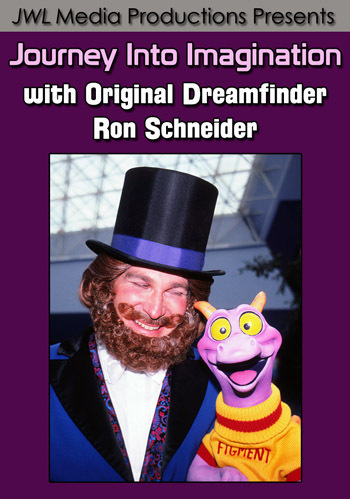 He removed his hat while we recorded a fun greeting (below, right). 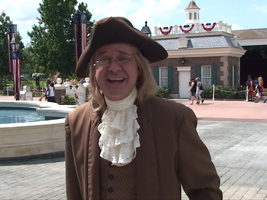 Video #2 – Epcot July 4th Independence Day Greeting from Ben Franklin 2011 – Ben Franklin wishes you a “Happy Independence Day”! 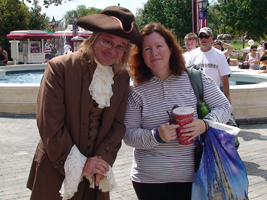 Denise poses with Ben Franklin (below, left), and then I took my turn (below, right). 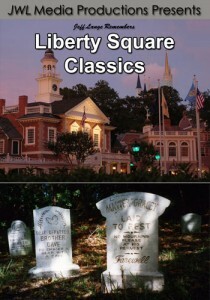 Check out our video below, which gives some health tips from Ben Franklin! 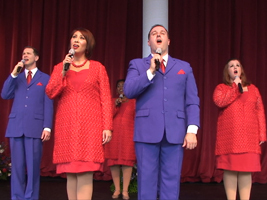 Past videos can be viewed HERE. 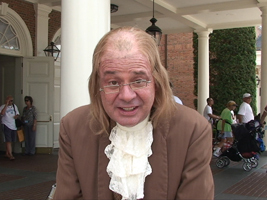 Video #3 – Epcot July 4th Independence Day Health Tips from Ben Franklin 2011 – Benjamin Franklin shares some important Health Tips on July 4th at the American Adventure, Epcot! 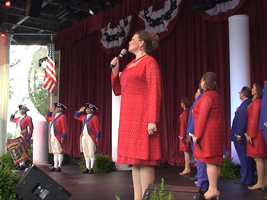 Our main goal of visiting Epcot on July 4th was to see the Voices of Liberty (below, left and right) as they put on their yearly patriotic concert. 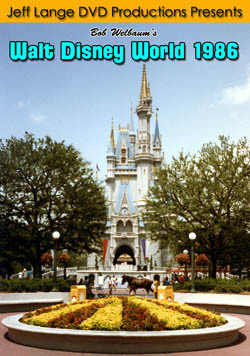 With songs like “Golden Dream” and “God Bless the U.S.A.”, I am sure there wasn’t a dry eye in the house! 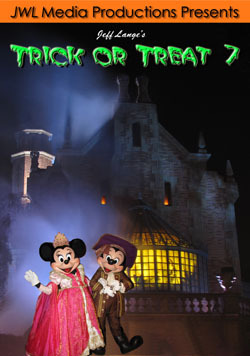 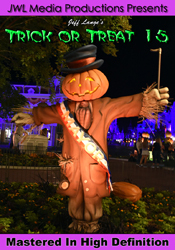 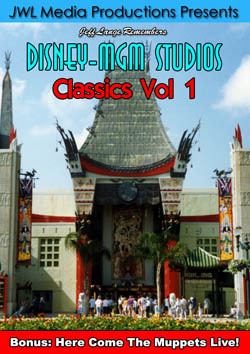 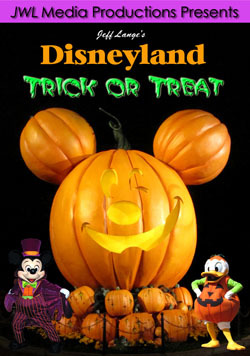 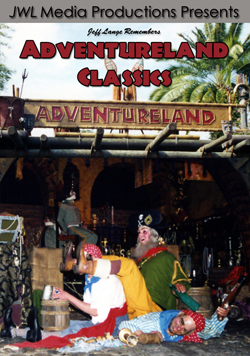 Goofy, Mickey and Donald marched up the walkway of the American Gardens Theater and onto the stage (below, left and right). 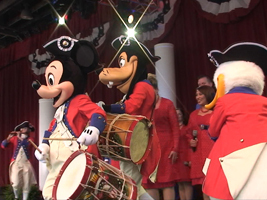 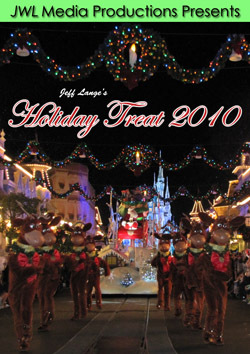 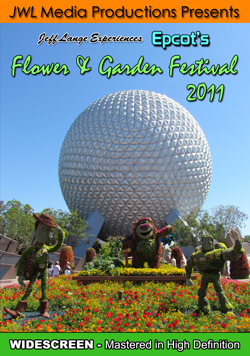 Video #4 – Epcot Voices of Liberty 4th of July Full Concert 2011 Walt Disney World – The Voices of Liberty in a full, patriotic concert at Walt Disney World! 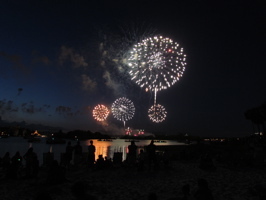 On July 3rd, we joined friends to celebrate the holiday at the Polynesian Resort beach. 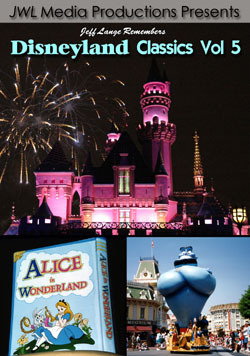 “Disney’s Celebrate America! 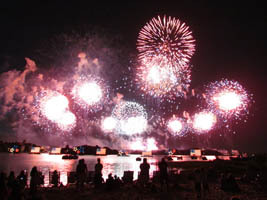 A Fourth of July Concert in the Sky” (below left and right) lit the skies in a 180 degree fireworks spectacular. 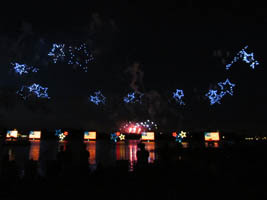 Stars form over the stars and stripes of the Electrical Water Pageant (below, left). 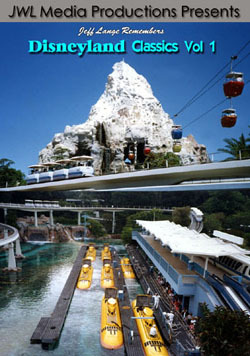 The finale (below, right) was breathtaking! 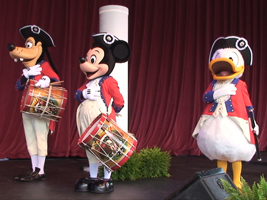 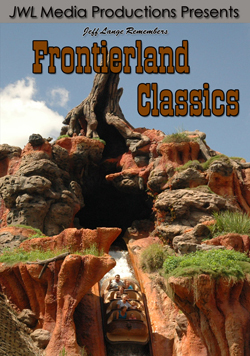 Video #5 – Disney’s Celebrate America! 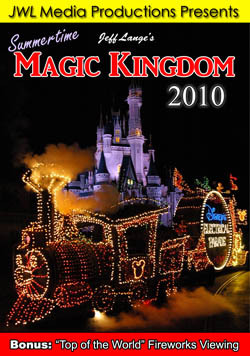 A Fourth of July Concert In The Sky Fireworks 7/3/11 – We were at the Polynesian Resort on July 3rd, 2011 for the Magic Kingdom’s Fourth of July Celebration, Walt Disney World.